Marketing is a big investment for any sized business. 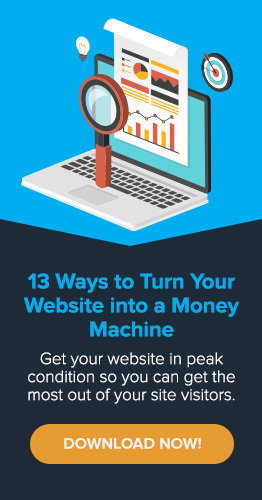 It takes time and money to build an effective website and traffic channels that produce new leads. 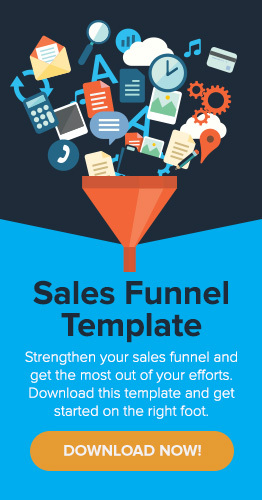 If you’re going to invest so much in filling your pipeline, why not go the extra mile and nurture those leads to increase the chances that they convert into sales? The MSP market is highly competitive, and most people aren’t ready to make a buying decision the moment they visit your site. It's far more likely that they are evaluating their options. They aren’t going to make a split decision and hire you – they need time to evaluate who is the best fit, and during that time, it’s important to stay in touch and position yourself as the solution to their challenges. Every new client you onboard has a high lifetime value so nurturing your leads is well worth the time and effort you put into it, and can greatly increase the ROI of your marketing efforts. The first step to effective lead nurturing is to know your target so you can stay as focused as possible. What industry are they in? what role do they hold in their companies? And what are the specific pain points they reference in conversations with your sales team? With a clearly defined target audience, you can more easily adjust your messaging to resonate more with that audience. Are you working with small businesses in which the owner is the most likely point of contact, or do you specialize in professional offices that are likely to have business managers and office managers who make IT decisions? Buyer personas will help you clearly define who you are trying to attract. You can learn more about persona targeting for managed service providers here – including some of the most common personas in the industry and how to map your own to be as focused and specific to your business as possible. Once you have identified your target personas, it's time to optimize your site for lead capture. Make sure you have lead magnets in place that will appeal to your buyer personas and entice them to share contact details. A lead magnet is a low-commitment piece of reference material that can be downloaded in exchange for a name and email address. Lead magnets are a great way to convert a higher percentage of your traffic. In an ideal world, your site visitors would visit your contact page and fill out a form, or just call directly. But most people who visit your website are doing research and are more likely to download an eBook than they are to call you. These prospects might not be ready to make a decision. However, you can demonstrate the value of your services over time and nurture them. More on that later. What should your lead magnets look like? They can be anything related to the topics you know your buyer personas care about right now – cloud computing, cybersecurity, or general maintenance. If you don't already have lead magnets, our MSP eBook service is a very affordable way to get branded eBooks added to your site. Once you have lead magnets that cover the most common topics, make sure to integrate call to action buttons, landing pages and thank you pages so you can drive people to a conversion page and capture their information. What exactly happens when someone submits that form and downloads your lead magnet? Cross your fingers and hope they call you? Absolutely not. This is where you'll want to start nurturing those new leads so you can keep them engaged throughout their decision-making process. Start by creating an email campaign that speaks directly to their interest. If they downloaded a cybersecurity eBook, follow up with a 3-4-week email sequence (consisting of 4-6 emails) about cybersecurity. A series of emails like this is called a drip campaign. Most email platforms and CRMs will allow you to create drip campaigns relatively easily. Once they are created, they require no additional work from you. They can be triggered automatically when a prospect fills in a contact form or requests to download a lead magnet. Every message should have some form of call to action with the last 1-2 emails ideally driving them to schedule a call or contact your team for a consultation. Everything we’ve touched on thus far relies on high quality content that speaks to the needs of your target audience. Content that is targeted towards your personas and answers the questions that keep them up at night will not only resonate better but will establish you as a thought leader they can trust when they are ready to hire an MSP. You can take this a bit further with a blog that showcases highly targeted, relevant information on a regular basis for this audience. If you publish useful information on your site on a weekly or bi-weekly basis, your site will become more valuable and your posts will begin showing up in search results. Blogging will take a bit longer than some other potential traffic sources, but it can have huge results if you stick with it. Every new blog post is an opportunity to rank for specific keywords that you already know your target audience is searching for. If you can't commit the time to writing your own blog posts, check out our custom blogging service. An added benefit of blogging is that you can use this content in your monthly newsletter to encourage your current leads to visit your website and re-engage. This can be immensely valuable even to existing customers who already trust you, showing that you are a thought leader in this space. Don’t forget to include call to action buttons in every blog post you publish so that your visitors have an action to take when they read your blog post. If they are engaged, the offer of additional information in the form of a lead magnet will be enticing. Once you’ve built out a nurturing system, you're almost ready to ramp up your marketing efforts. But there's a critical step that must not be forgotten. Now is the time to define your goal. Without a clear goal, it will be impossible to assess the success of your marketing efforts. Based on previous quarters, create a realistic revenue goal that will be attainable, but that will require you to be proactive and push towards. Based on your average monthly recurring revenue per client, calculate the number of new clients you'll need to close in order to achieve your revenue goal. Based on your average close rate, you can now calculate the number of new leads you will need to capture in order to hit your target. This number will act as a motivator for the following steps, providing a clear path and structure for what you need to accomplish. Given the high lifetime value of each new MSP client, it's even more critical to know your numbers. This will allow you to budget appropriately for your marketing efforts. If every new client is worth an average of $2,000+ in monthly recurring revenue, qualified leads are incredibly valuable. With your website optimized for lead capture and your email nurturing in place, it's time to kick things up a notch. You’re likely already getting some traffic, but a targeted ad campaign will allow you to build an even bigger initial traffic funnel and start nurturing new leads faster. Google AdWords and social media advertising can be a great way to get more traffic to your site quickly. AdWords allows you to target specific keywords and with social media you can specify the demographics you are targeting. Your ads should be specific and direct visitors to landing pages where you can really drill down to the language that you know these personas will respond well to. Your main call to action may be a free consultation or network assessment, but you can also include a lead magnet such as an eBook as a secondary call to action for those who are not ready to hop on the phone just yet. If you can remain targeted, you can start slow with an ad budget of $1,500-$2,000/month. Your budget will depend on your local competition, the average cost per click of the keywords you are targeting, and the revenue goal that you defined in the previous step. The final step is to calculate your return on investment from all these activities. You should be tracking your traffic and leads on at least a monthly basis, but after 3-6 months of blogging and advertising, take the time to dig deeper into the analytics and see the results of your campaign. Assuming you land 3 new clients over a 6 month period with a marketing spend of ~$2,500/m, each new client is costing an average of ~$5,000. Assuming a client lifetime value of $200,000 and 30% margin, each $5,000 in marketing spend is bringing you $60,000 in profit. Your numbers will vary, but the goal here is to make sure you're seeing a positive ROI. It will also be worth analyzing which advertising campaigns are most effective, the content that's most popular with your target personas, and which email nurturing campaigns are most effective at booking appointments. This will allow you to continue optimizing so you can increase your return on investment even further. The goal is to build a system whereby you attract new visitors to your site, convert them into leads, and nurture them to showcase your thought leadership. You want them to see you as the best possible provider to meet their needs. Do this and you’ll be on a path to success with your marketing efforts. Lead nurturing is a critical component to building a strong sales funnel and helps to create as truly viable marketing engine. Once you have the foundation down, adding new blog posts, creating new lead magnets, or nurturing your leads will become part of an ongoing routine – one that will ultimately lead to new business and stronger growth for your business.